Luxury apartments encompassed with premium features for a comprehensive lifestyle! Ahmedabad is an incredible city packed with modern-day infrastructure that is nothing short of spectacular! 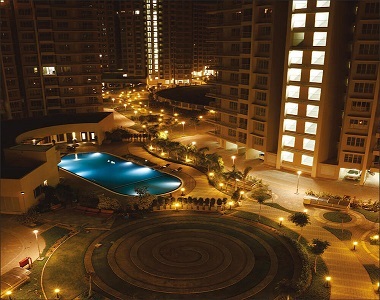 The real estate sector in Ahmedabad is sprawling with multiple residential projects today. 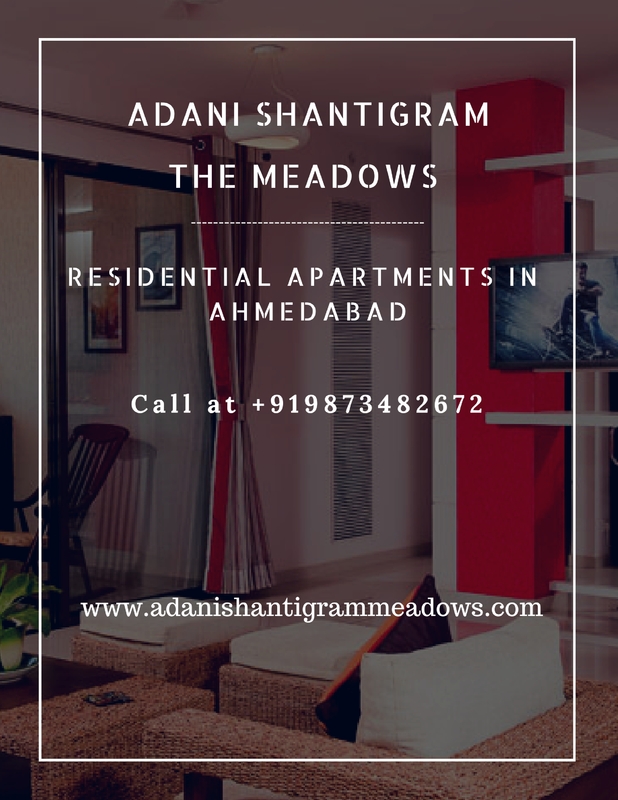 Adani Shantigram the Meadows is a vibrant residential project in Ahmedabad by Adani Realty that focuses on every element of luxury for a modern-day lifestyle. Spread over 27 acres, this development consists of 32 towers that offer 2BHK, 2.5BHK and 3BHK luxury apartments that are designed to please. The apartment areas start at 1080 sq. ft. and go up to 2280 sq. ft., providing maximum space in every room. Adani Shantigram Meadows Ahmedabad is a blissful residential development that offers a life of peace and serenity every day! You will find apartments that provide good ventilation and contain elegant fittings & fixtures, kitchens with top-notch counters, push doors and large windows providing beautiful landscape views, safety features and more. This residential development also offers world-class external amenities that are designed for maximum leisure and comfort! They include a clubhouse, hi-tech gym, cycling track, swimming pool, meditation centre, multipurpose hall, sports facilities and a play-area for kids, wide open space surrounded by lush greens, landscape garden, car parking and high-end security. Situated off S G Highway in Ahmedabad, Adani Shantigram the Meadows S G Highway offers a convenient lifestyle that will always keep you happy and satisfied! All of your daily landmarks like schools, colleges, hospitals, malls, cinemas, cafes, restaurants, retail outlets, general stores, shopping centres, supermarkets, etc. are just a hop, skip and jump away. 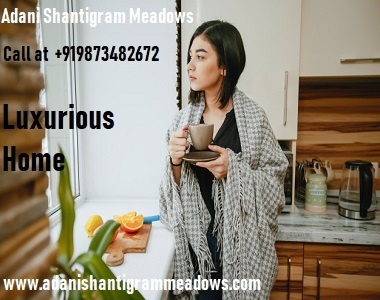 Starting at an impressive price of Rs.39.70 lakhs and going up to Rs.87.21 lakhs, the Adani Shantigram the Meadows Price is budget-friendly and totally worth the premium features that it has to offer. This is an ideal development for home buyers and investors as well! You can choose from a number of payment plans along with home loan facilities, NRI services, customer support and more for the perfect buy.